Do you love a great deal? 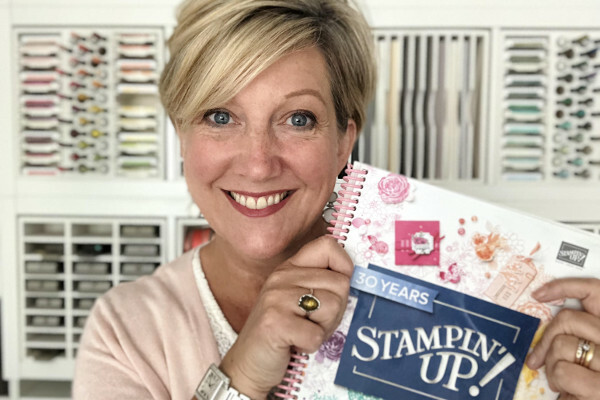 Do you love Stampin’ Up! products? Do you want on-going discounts? Would you love to be part of a wonderful crafting community which shares ideas and inspiration? If so, then I would love to welcome you to my team when you purchase the great deal Starter Kit from Stampin’ Up! It is always a great deal to join but during sale-a-bration (3 Jan – 31 Mar) it is an even better deal! You pay £99, you can choose £170 worth of any goods from the annual and seasonal catalogue combined and they are delivered direct to you absolutely free! 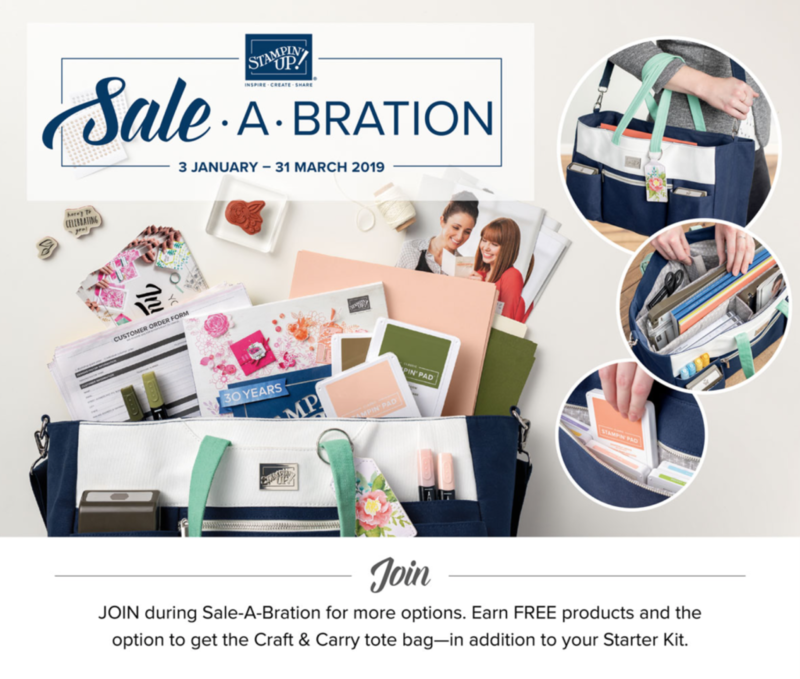 If you love this exclusive Craft & Carry Tote, then during sale-a-bration you can choose the Stampin Up Starter Kit which includes the tote for £125 and also £170 worth of goods to fill it! The inserts are attached with velcro so they can be moved to make the space larger/smaller etc. 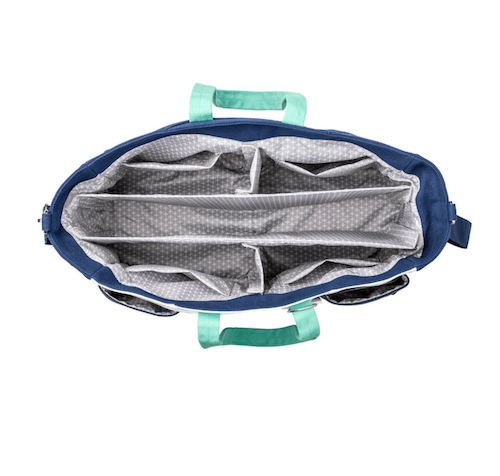 Such a great tote I think you will agree and just for an additional £26 on top of the starter kit. 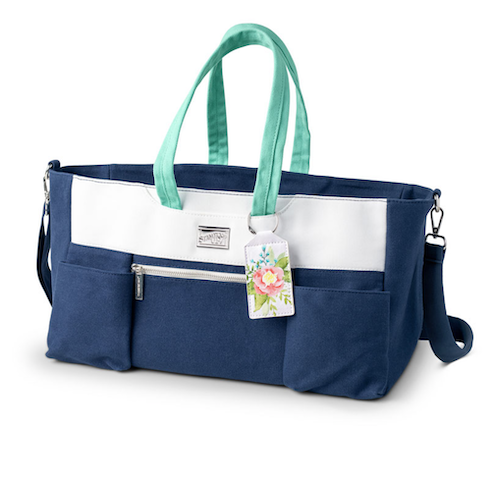 Did I mention its exclusive too, so once sale-a-bration is over you will no longer be able to purchase this tote – don’t regret it! In addition to the great value starter kit, you get an ongoing 20% discount on your purchases and items you sell (off the NET amount) and all the great deals and offers that customers get including sale-a-bration items, hostess rewards, pre-orders and so much more. If you would like to read more information about this great opportunity please visit my starter kit page on my blog. There are also some answers to the frequently asked questions too. But if you still want to talk it through with me, please get in touch. I promise no pressure, just honest answers to see if this is the right opportunity for you. 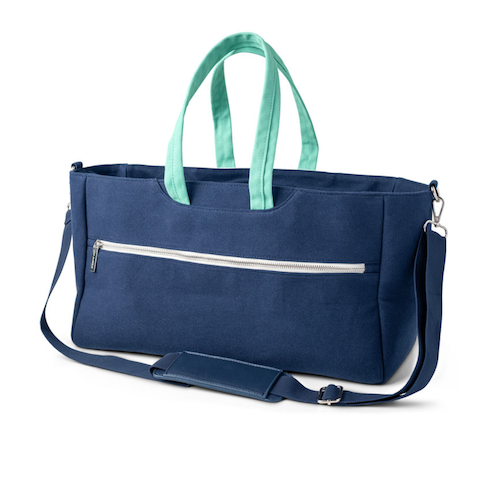 I would really love to welcome you to my team and I would really love you to get hold of this tote as its really pretty but useful too!